This report is based on information submitted to KHRG in July 2012 and April 2013 by a community member trained by KHRG to monitor human rights conditions, describing events occurring in Bilin Township, Thaton District between April 2012 and April 2013. 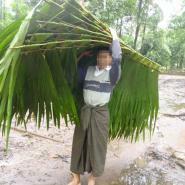 In April 2012, approximately 721 villagers from six villages had to provide 5,000 bamboo poles and more than 20,000 thatch shingles without compensation for Tatmadaw Light Infantry Division (LID) #44’s Lay Kay army camp. LID #44 soldiers also ordered villagers to serve as messengers for their camp without payment. 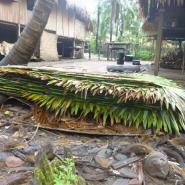 D--- villagers again were ordered to provide thatch for repairing barracks at Lay Kay army camp in September 2012, but according to the community member who regularly visits the Lay Kay area, the Tatmadaw has not made any further orders for forced labour in the area since then. 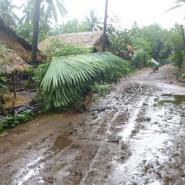 KHRG continued to receive reports of demands for forced labour by Tatmadaw soldiers in the Lay Kay area in Bilin Township, Thaton District throughout the first half of 2012, however, as of September 2012, the forced labour is reported to have ceased altogether. 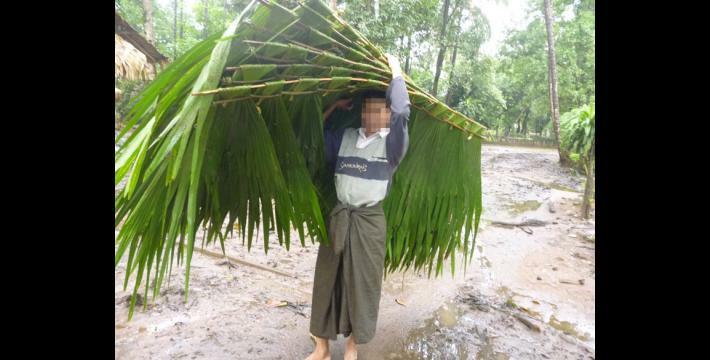 During April 2012, residents of B---, D---, G---, H---, R--- and K--- villages in Bilin Township faced demands from Tatmadaw Light Infantry Division (LID) #44 for building materials, including 5,000 bamboo poles and more than 20,000 thatch shingles. LID #44 soldiers also used villagers to perform unpaid set tha (messenger) service at Lay Kay army camp in April 2012.According to the community member who submitted this information, the incidents affected approximately 721 villagers from these six villages. Thirty-three representatives from the afflicted villages submitted accounts of abuse committed by LID #44 to the International Labour Organization (ILO) on July 11th 2012 through a community member trained by KHRG. 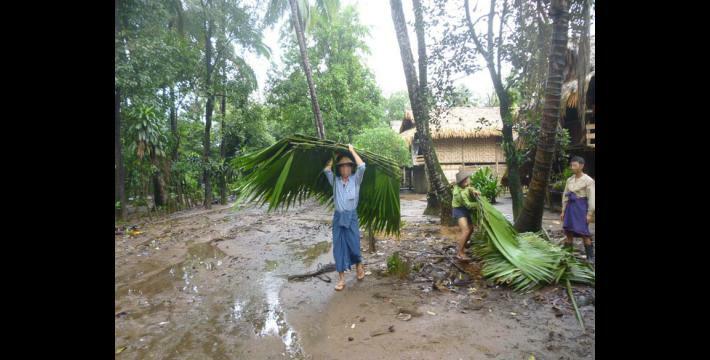 Tatmadaw soldiers again ordered villagers from D--- village to provide thatches for barracks repair at Lay Kay army camp during a period of heavy rain in September 2012. 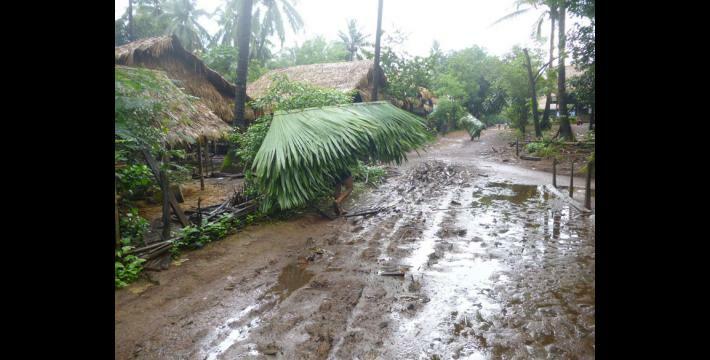 "After we submitted forced labour information to the International Labour Organization in July 2012, the forced labour happened only one time, when the Tatmadaw ordered D--- villagers to provide thatch for repairing their camp in September 2012. 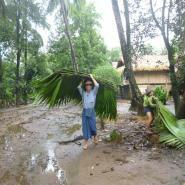 Since then (September 2012), the forced labour has not happened again up until now. 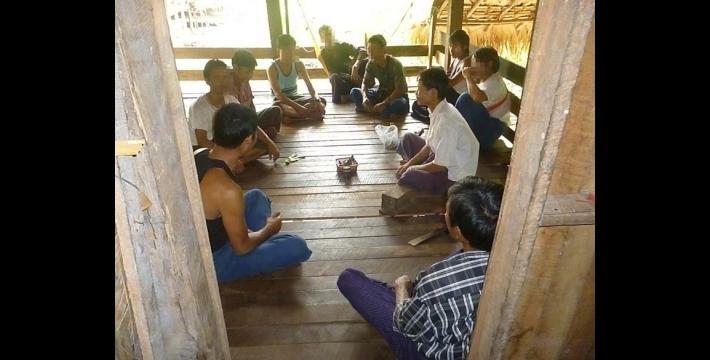 Based on villagers’ views, the forced labour has stopped because of three possible reasons: (1) forced (labour) has stopped after we submitted the forced labour incident to ILO; (2) forced labour has stopped after the Karen National Union [KNU] and Burma government signed the ceasefire agreement; and (3) forced labour has stopped for the reason that Burmese soldiers now dare to go and cut down trees and bamboo from the forest by themselves [because soldiers are no longer afraid of possible Karen National Liberation Army ambushes]." KHRG has not received any reports from community members of forced labour occurring in Lay Kay area, Bilin Township, Thaton District, since the end of September 2012. Set tha is a Burmese term for forced labour duty, such as with messengers stationed at army camps or bases, serving as an intermediary to deliver orders from army officers to village heads, but also involving other menial tasks when no messages are in need of delivery. 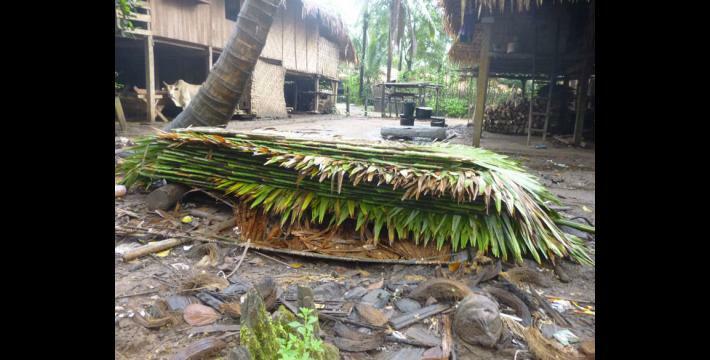 On January 12th 2012 a ceasefire agreement was signed between the KNU and Burma government officials in Hpa-an Town. The preliminary agreement was based on ‘11 key points’ and was due to be followed by more in-depth talks after 45 days. Negotiators from the two parties met for a 2nd round of talks beginning on 4th April, see “KNU and the Burmese Government Continued State-level Ceasefire Talks,” Karen National Union, 4th April 2012 and held a 3rd round of negotiations from 3rd-4th September 2012, see “KNU Delegations Departs for the Third Round Negotiation of Ceasefire with the Burmese Government,” Karen National Union, 1st September 2012. For more information on the ceasefire and how it has affected local villagers, see “Safeguarding human rights in a post-ceasefire eastern Burma,” KHRG, January 2012 and “Steps towards peace: Local participation in the Karen ceasefire process,” KHRG, November 2012.